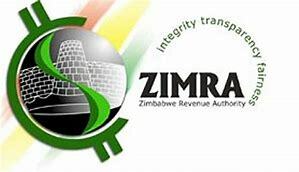 SMALL to medium enterprises (SMEs) will soon be remitting tax to the taxman, the Zimbabwe Revenue Authority (ZIMRA) has said. In a bid to increase domestic revenue, the revenue collector sad they will soon incorporate the informal sector, which contributes about 60 percent of the country’s economy, into the tax system. “We are in the processing of reviewing the tax system so that it accommodates the SMEs so that they contribute meaningfully to the economy but also with limited cost on their part. “These are the very same people we are targeting for the taxpayer education we are rolling out as the authority,” Zimra executive assistant to the commissioner-general John Chakasikwa said. He was delivering the speech on behalf of his boss, Faith Mazani at the training workshop on taxation and customs. Chakasikwa said Zimra also seeks to nurture SMEs so that they can develop into large corporates with a full understanding of their tax responsibilities.